A lot of people have been asking me how I meditate. This posting will tell you exactly what I do when I meditate. Feel free to use this meditation for yourself or take bits and pieces of it; whatever works for you. I usually meditate right before I go to bed. Everyone is asleep in my home and it is peaceful and quiet. Time for me after a long day. I always meditate in the same area every evening. The lights are always on. It is quiet and peaceful and there is no meditation music. You could have meditation music if you like. I do not light any candles. Again, you could light candles as well. I just choose not to. That area where I meditate is on my couch in my living room. I will sit on my couch and relax and extend my legs outward so that my legs are lying on the coffee table in front of me. I am in a relaxed mode. My mind is still and I ask my ego to be perched on my shoulder and only observe and not interact. I ask my mind not to interact as well as my heart is in control. Now, with my eyes closed, I will take a slow deep breath in through my nose and hold it in for a three count. Then, I exhale the air slowly with my mouth. When I breathe in, I envision light coming into my body and when I exhale I envision love flowing out of my body. I do this inhale / exhale method twelve times to bring in Divine energy and love into my crown chakra on top of my head. When I do this, I feel my head completely tingling like ants are walking all over the top of my head. This is good as my crown chakra is opening up. You want this to happen as you are connecting to Spirit. Guardian Angels, please be with me; Universal Angels, please be with me; Arch Angels, please be with me; Arch Angel Michael ,please be with me; Arch Angel Raphael, please be with me; Seraphim Angels, please be with me; and all other Angels that I have not mentioned, if you are available, please be with me. Elementals, please be with me; Unicorns, please be with me; Dragons, please be with me and Dolphins, please be with me. I also ask Father / Mother God to please be with me now. Then I wait and take a few more deep breaths, hold for a three count and exhale. I envision Divine Light and energy coming into me on the inhale and Pure Love going out of my body on the exhale. Arch Angel Michael, please protect me during this meditation and throughout the night. Please stand guard in your full presence and place me in a loving bubble. Please fill the bubble with light and love and place protective mirrors around the outside of that bubble pointing outward so that if there are any beings, any negative thought forms, any negative elementals, any negative energy that is not for my highest and best good, not of the purest white light, let them see their own reflections in the mirrors and be moved away from me and into the light. I ask that you place your blue protective energy around the bubble for additional protection. 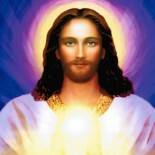 I also ask my higher self to invoke the Gold Ray of Christ for my ultimate and total protection. Lastly, I ask Arch Angel Metatron to protect me and my aura with his Orange and Gold protection energy. It is done. I ask that my wife and children, my pets, my home, my garage, my car, and my community be protected in the same way that I am protected. It is done. And now that I am protected, I ask that I be fully grounded with Mother Earth, with beautiful Gaia. I now envision strong gold roots growing from my loving heart going through my body and through my legs deep into the center of the earth where Gaia resides. I now envision these powerful roots, with Gaia’s permission, latching on to her beautiful and loving heart. I envision her heart and my heart merging as one loving heart. 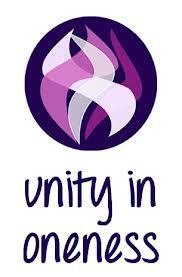 I envision my entire energy body merging with Gaia’s energy body becoming one soul, one body, one consciousness. I ask to be fully grounded to beautiful Gaia so that I always come back to this couch after wherever the meditation takes me or through any night travels. It is done. I now ask that all the powerful energies, all the love, all the light, all the joy, all the happiness, all the healing and all the peace from Mother / Father God come in through my soul, though all of my bodies, etheric, physical, emotional, mental, through all my chakras, though every cell of my body and through my aura. I ask that it pour though me with Divine Love and Blessings. As it comes through my crown chakra, let it flow though my other chakras, through my root chakra and into Gaia and back up to Mother / Father God continuing in a closed loop filling me with light and pure love throughout the meditation and throughout the night. It is done. Then I wait and the energies rise and build. The feeling is amazing. Then I do another 6 breathing exercises as described above, light coming in on the in breath and love leaving my body on the outbreath. Then I open my eyes. When I do, I see the energies rising, gold floods my vision, gold is everywhere and the energies are everywhere. I see energy beings, faces, bodies, you name it, I see it. It is pure love pouring at me. It is amazing what I see and I cannot even begin to describe this it in this post. It feels so good and so right as love energies are radiating at me. Arch Angel Raphael, please be with me now. Please send down your emerald-green light and energy counter clock wise going through my crown chakra and slowly through my other chakras and organs and cells in my body. 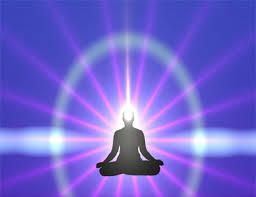 As this energy comes in at a fast spiraling pace, please remove any diseased energy, any blocked energy, any negative elementals, any negative though forms, any cords or attachments that do not serve me, anything that does not serve my highest and best good and anything that is not of the highest and purest white light of God. Please place these unwanted things to the outside of my aura to be burned off by Saint Germaine’s violet flame which I will ask for next. Saint Germaine, please be with me. Please place me in your violet flame and burn off permanently all of the stuff that Arch Angel Raphael just placed on the outside of my aura to be burned off. I wait a few moments and envision this happening. He also will say “It is done” and I thank him. I am the gold and silver violet flame, I am the flame of mercy, I am the flame of joy, I am the flame of transformation and transmutation, I am Saint Germaine, I am Arch Angel Zadkiel. 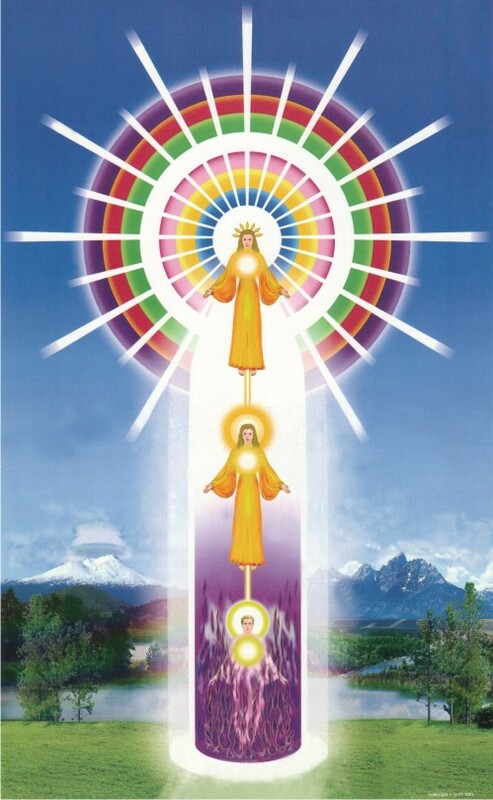 I am the Gold Ray of Christ, I am unconditional love, I am the Cosmic Heart, I am Lord Maitreya, I am the CHRIST! Let me tell you when I say these mantras with intention and love, so much gold is around me, it is beyond description. The room is literally moving as are the walls and pictures. I have to stabilize it with my intention. Truly amazing! This is the fifth dimension. And let me tell you, it will blow your mind away!! Now I am ready to meditate on the Love Bomb meditation. This will be part two of two of my meditation. You do not want to miss this one as it is just awesome! The love that flows from this is so unbelievable. I hope you have enjoyed reading how I meditate. It is personal to me but public in a sense that so many people meditate. Everyone should meditate. Everyone meditates differently and no one meditation is better than another. It is the intent to meditate, the intent to make a connection, the intent to open up your heart that matters. If you meditate daily, your heart chakra and your crown chakra will open up. You will be more spiritual and you will connect with your spirit guides and with your angels. You will be happier and you will be self-healing yourself as well. But you have to set the right intention and ask for protection as you are a beacon of light attracting everyone with your light, good and bad. But Michael will be there to protect you. Just use my verbage and incorporate that protection in your meditation. Nobody will harm you but you can’t be scared. Spirit is there and wants to connect with you. They want to help you and with the current energies flooding the planet, it is a perfect time. We all need to connect. That is why you are here, to release all that does not serve your highest and best good and to ascend to the higher dimensions with a higher consciousness and to be a beautiful multi-dimensional light being. We all need to clear our baggage, our skeletons from our closet. You cannot take this with you when you ascend. Your higher self will not allow it. You must release this stuff, you must forgive yourself and others and you must have happiness and love in your heart. Meditations and healings definitely help. Crying with intent to forgive and release helps but intention is the key. Energy follows your intention. You literally can transform your life and manifest heaven on earth for yourself and co-create your new reality. No more anger, no more hurt, no more judgment and criticism and peace in your heart, in your essence of the light being that you are. Trust and love yourself and watch miracles occur in your life as your I AM presence comes to life!! its actruly wonderful meditation technoque.i use merkabah techniques but smtyms i cnt stabilise myself.i need ur support. HI andy, i’m not christian so don’t believe in your angle. What should i do if i want to learn it? Thank you for appearing now as teacher. Resonation. Last time anything felt as true was my Akash reading when I learned my soul originated in the Arcturus system and has a name, Mirakel. Also about lifetimes in Lemuria, Atlantis, Sedonia and too much more to describe this post. Discovering my soul is “older than dirt” felt like being shot straight up out of a 3rd dimensional Divine Spiritual cannon! What a ride! I am now gratitude, joy, happiness,abundance, unconditional Love! I have long known I am Lightworker, but I would have never guessed about being a “Starseed”. Describing your method is instructive and helps fill in some of my imagination gaps. Tonight I was able to visualize the energy flowing, and now I am feeling it. 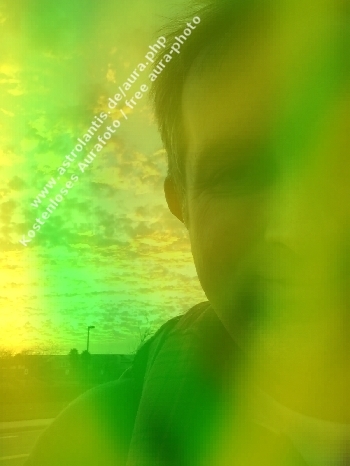 And be assured I’ll keep it up…..that golden light/energy sounds pretty interesting, I gotta get me some of that. Please, add my name to the list, I would like to lend my energy powers to this sacred Intent. I read you daily now. Thanks so much. I have read your part one Meditation and what I am doing your way is exactly the same like me and some additional important invocations i learn from you…. Thanks a lot….Because I am Melchizedek master & Facilitator meditation in this way since last 12 years….I feel very comfortable with this technique…. We are one as our thinking also alike….and the way of meditation I am flollowing exactly the same like you….on My bed…and all…. I have found the part one….the link was there only when I started reading the second part….Thanks a lot…. I Like Meditations in groups always as we are doing little different way..since last ten years at my residence…. Dr. Sohini Shukla……Junagadh, Gujarat, India…. Thank you Andrew. When I was meditating with the angels this morning I suddenly felt very anxious and immediately asked Archangel Michael to be with me and clear any negativity in and around me. I have felt this in a vague way at other times but never so strongly before and I felt fear. I suddenly realised that on a subconscious level I am carrying this fear of negativity approaching me which is preventing me from connecting more strongly. Then a ‘nudge’ encouraged me to check my emails and….. here I am! So thank you for being here at just the right moment and thank you to all there is for nudging me in the right direction. Especially a firend who gave me your link a few days ago. Synchronicity at its best! I’m not sure I’ll remember all of the right words/names but if I focus on intent I’m hoping this will produce the effects I need? I do try to consciously ground my self but maybe I am sending out the ‘trying’ vibration too much! Thanks Andy for this post… I do my meditations daily…But the way you do it is outrageous… Normally I start my meditations with an Invocation for the all the sprititual guides, Angels, Archangels, Holy Masters…Arch Metatron, St Germaine, St Raphael, then I put mantra music.. an Aum Om Mantra..(which I feel immeditely my Eye and Crown chakra to open.. then my hands chakras…. then I do the Twin Heart Meditation…. ( in the moment that is still – then I asked for Arch Raphael, St Germaine, My spiritual guides, to guide me etc etc (and when is finish- with that Big Smile……) I put my favorite song by Deva Premal… In the Light of Love…. Now I’m waiting for your part II ! This entry was posted on April 14, 2013 by Andrew Bojarski in Andrew's Posts and tagged Arch Angels, Ascended Masters, Ascension, Awakening, Chakras, Channeling, Energy, Healing, Higher Self, Love, Meditation, Spirituality.